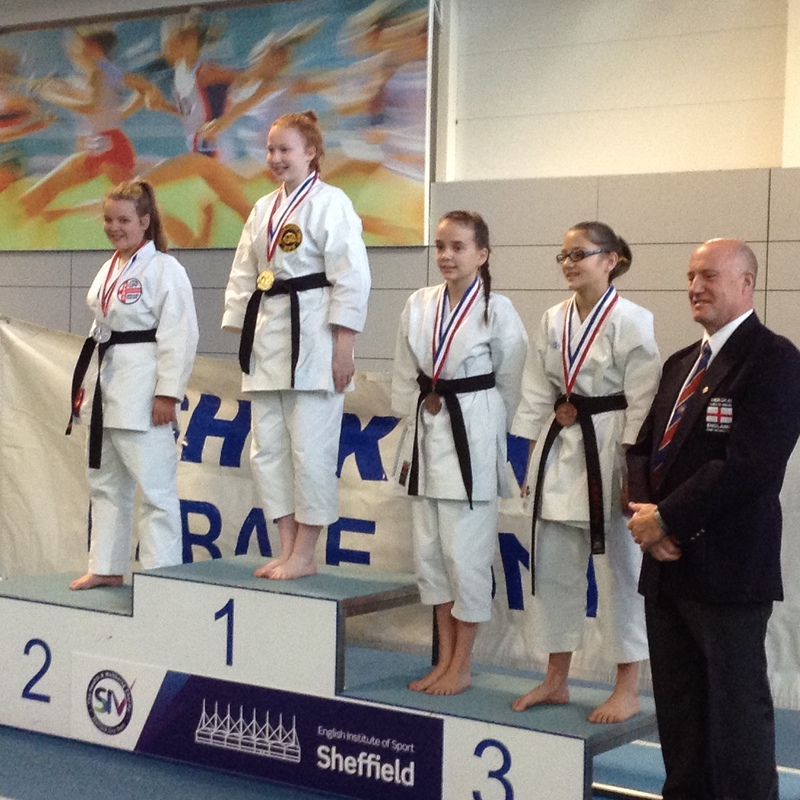 From basic self-defence work with a partner to sparring to entering tournaments. Each student works at their own level. Learning step by step, simple moves at first, advancing to more complicated defences. You should remember when starting any fitness regime or sport, most people are quite unfit. You will not be expected to keep up with the higher grades, just do your best and your fitness level will increase before you know it. As part of the lesson we incorporate cardiovascular, weight bearing and stretching exercises, this increases physical fitness, strength and suppleness. Lots of people tell us that they don’t do any sport because they are too uncoordinated. Karate really does help with your coordination. The beginner is given instruction at the most basic level which he or she will repeat until the moves are correct, eventually techniques become spontaneous as their coordination improves. Due to the nature of the sport the lessons are quite disciplined. All students are expected to follow certain rules for their own safety and that of others. 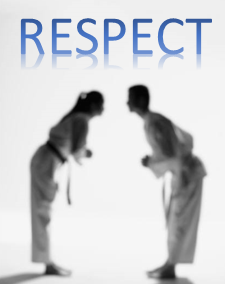 We teach team effort and respect to others. We find that the vast majority of students and parents expect this and appreciate it. Being aware of things around you is essential; it keeps us safe. 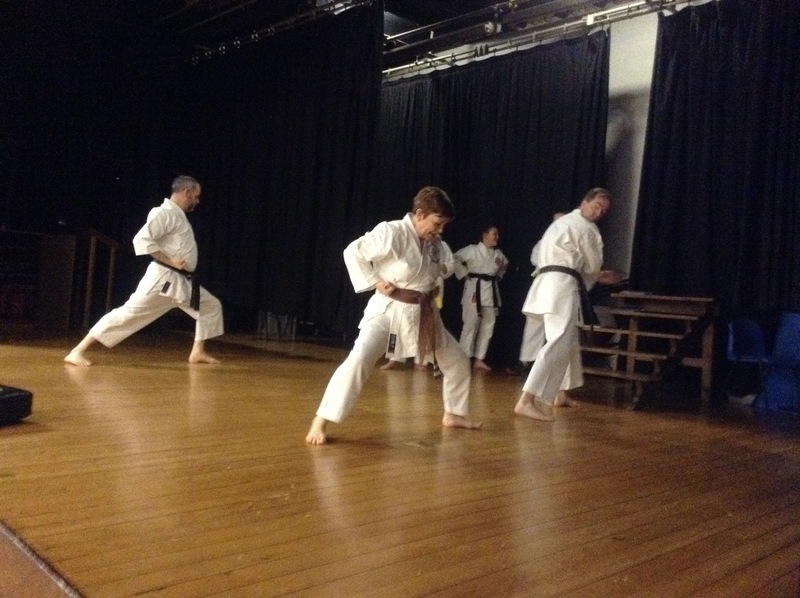 At the club we do a lot of partner work and self-defence, increasing reaction times and awareness. This is of course well supervised and, apart from the odd bruise, students remain safe and unharmed. (Please understand there are few sports, if any that are 100% injury free) You will learn to incorporate this awareness into everyday life. We are as positive and encouraging as possible with every student. Each lesson is different from the last and something new is learned. Students grade every three to four months: this helps to give them a sense of achievement. They receive a different coloured belt and a certificate every time they pass a grade. Students, if they wish may enter tournaments, and who knows, they might just come away with a medal or a trophy. "Why do you want your child to learn Karate"
Parent - "I want them to gain discipline and confidence"
1. You must be consistent bringing your child to class. Schedule your Karate days and move things around them so your child doesn't miss classes or attend sporadically. Why? Because discipline and confidence come from doing structured things, not random things. 2. When training gets tough and your child doesn't want to go to class because it's not "fun" you will tell them "get your Gi and let's go" no matter what. Why? Because you can't build discipline on your schedule, only doing what you want when you want. You also can't build confidence by avoiding things that are hard to do or tough. Only by failing and then overcoming that failure can you grow confident. It is not easy but it is worth it. 3. When your child loses interest (which comes and goes by the way) you will say "Get your Gi and let's go". Allowing your child to just give up something because they have lost interest leads to teaching them how to be a failure in life. Teaching your child the value of commitment and seeing things through is part of the discipline process. The loss of interest in kids happens but then they wish they wouldn't have "quit". Teach your child not to be a quitter. 4. You aren't committing to attend Karate. You are committing to get good at Karate and earn your black belt. 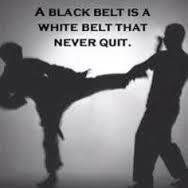 When your child wants to quit you will say "Are you a black belt yet?" and then say "Get your Gi and let's go". Children who see their training through to black belt will learn what it means to truly earn something which builds confidence and discipline. This will be invaluable in their lives as they grow into adulthood (going off to college and more). 5. Karate will build confidence, discipline, focus and more BUT you have to be committed to it no matter what. You can't just show up when you want and expect your child to gain from it. It takes work so teach your child the value of working hard. 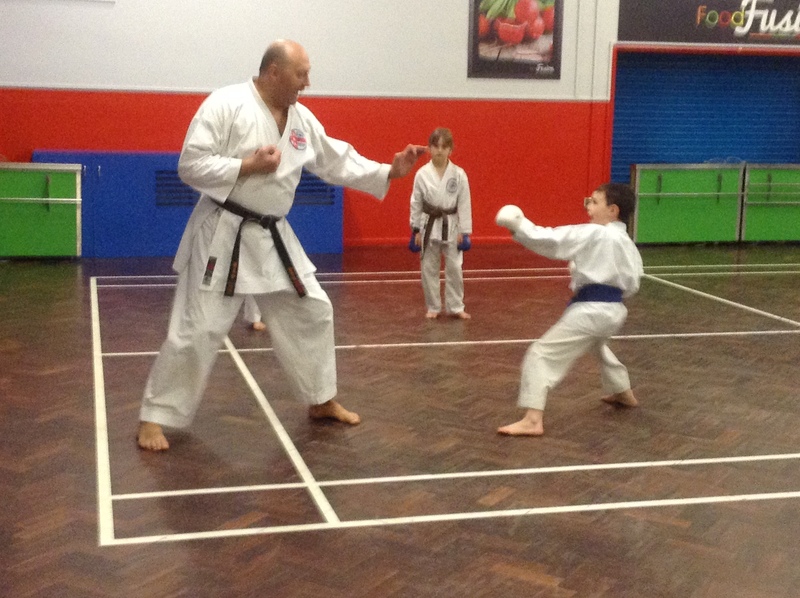 When you, the parent, are involved in their training they grow strong in their confidence and discipline. Don't be "that parent" that just lets their kid start and quit things. 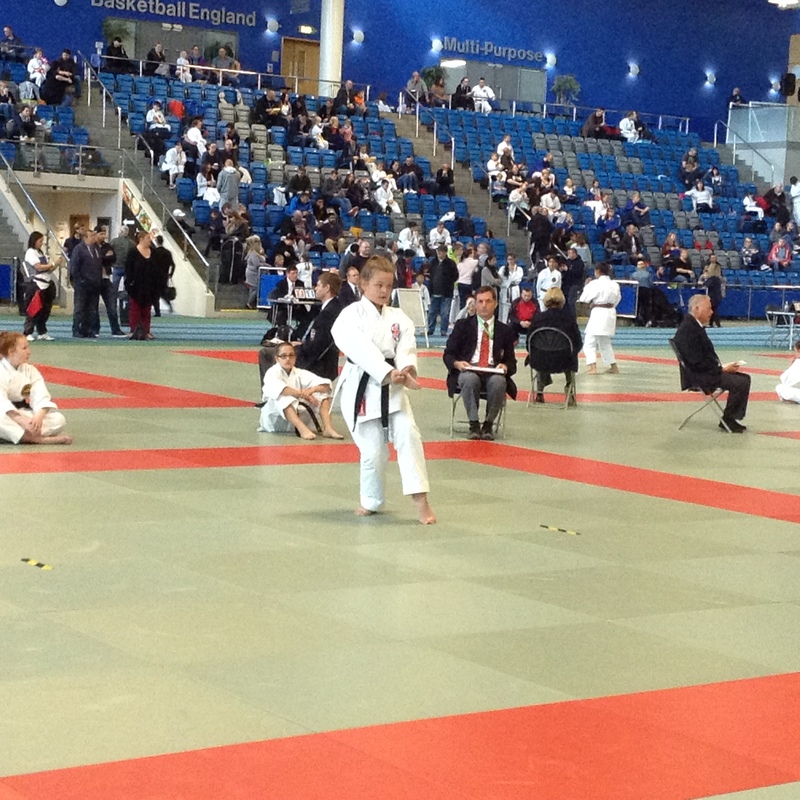 Get them to the dojo and watch them develop strong, focused, driven and confident so that they can have a great life!